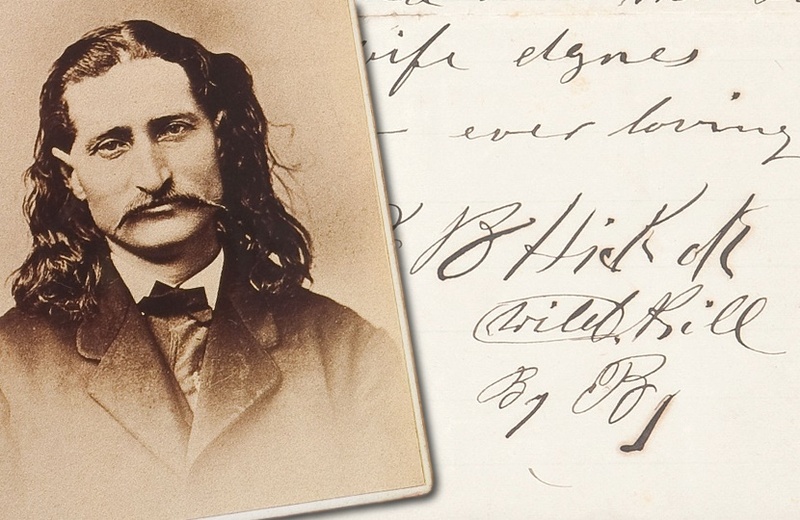 A revealing love letter by the Old West gunslinger and gambler ‘Wild Bill’ Hickok is heading for auction at Heritage this May. Hickok wrote the letter to his wife Agnes in June 1876, just a few weeks before he was killed during a poker game in the notorious town of Deadwood. 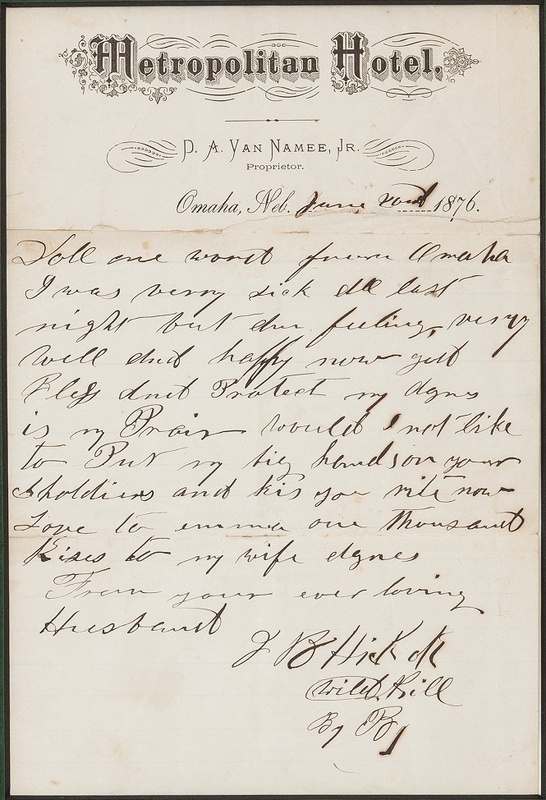 The rare signed letter is one of around half a dozen examples in private hands, and has been described as “the ultimate exemplar” for collectors seeking Hickok’s elusive autograph. The last time the letter appeared at auction in 2003, it sold to the current owner for a world-record $190,400. 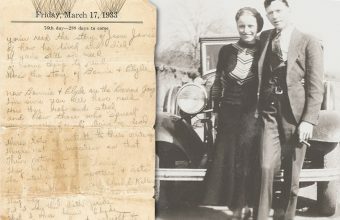 Sixteen years on, the letter is expected to fetch a strong six-figure price once again when it hits the block in Dallas, as part of Heritage Auctions’ Americana and Political Signature sale on May 4-5. James Butler ‘Wild Bill’ Hickok (1837-1876) is one of the Old West’s most famous characters, with a remarkable resume that includes ‘stage coach driver’, ‘soldier’, ‘spy’, ‘scout’, ‘lawman’, ‘gunfighter’, ‘gambler’, ‘showman’ and ‘actor’. His well-known exploits – some true, many fabricated – have passed down into folklore and legend. However, the letter offered at Heritage reveals a more romantic side to his nature, and his love for a woman with an equally remarkable life story. Agnes Lake Hickok was born in Germany in 1826, and emigrated with her family to America, where they settled in Cincinnati, Ohio. It was there, at the age of 12, that Agnes first visited the circus, and began a life-long love affair with the big top. When she was 19 she eloped with a circus performer named William Lake, and for almost 30 years the couple travelled across the U.S entertaining crowds. Agnes made her name as a slack line walker, an expert horse rider and a lion tamer, and along with her husband established the Hippo-Olympiad and Mammoth Circus, which employed 240 performers, circus hands and horses. 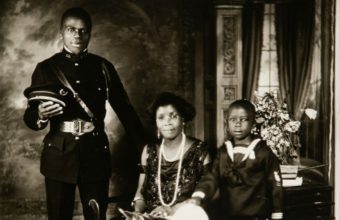 She became known as the “Circus Queen” but her life was touched by tragedy, as she lost two children during infancy and her husband William was brutally murdered. 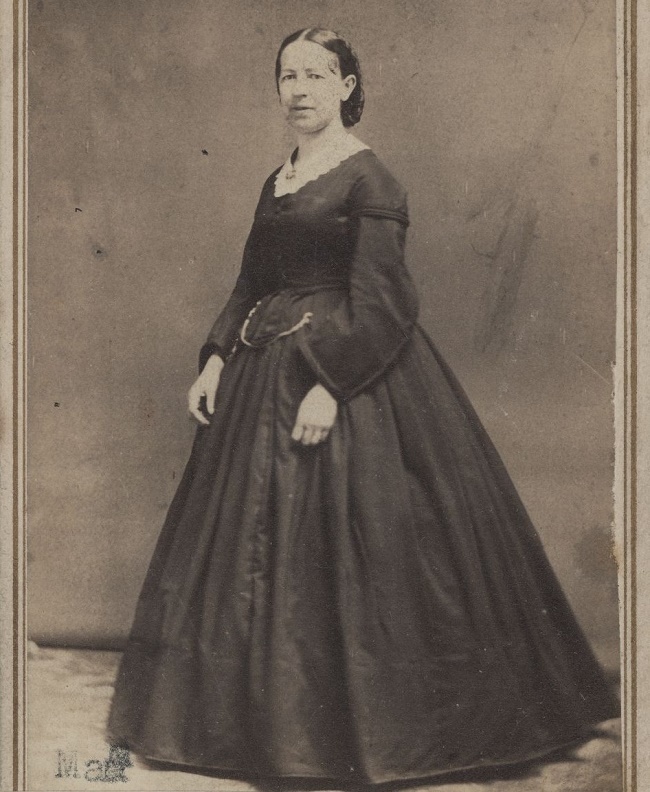 Now widowed and running circus single-handed, Agnes first met Hickok briefly in 1871 in Abilene, Kansas, where he was serving as the town marshal. Although it seemed Bill had finally settled down, it wasn’t long before he hit the trail again; this time to Omaha, Nebraska, in an attempt to organize a prospecting expedition to the Black Hills. Soon after sending the letter, Wild Bill was back on the road. This time his destination was the notorious Gold Rush town of Deadwood, South Dakota – and a date with his maker. It was there, at Nuttal & Mann’s Saloon, that Hickok played his final game of poker. Whilst sat with a pair of Aces and Eights (now known as the ‘Dead Man’s Hand’), he was shot in the back of the head by ‘Crooked Nose’ Jack McCall. Following his death, Agnes sent the letter to his sister Celinda as a keepsake, and it remained in her possession until she passed away in 1916. 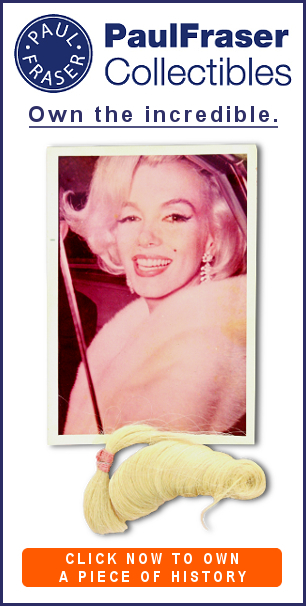 For the next 87 years her collection of memorabilia relating to her famous brother remained hidden, completely unknown to historians, until 2003 when it was offered during a landmark sale at Greg Martin Auctions. 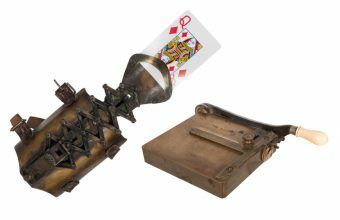 The letter was described as the “crown jewel” of the sale, and for serious Old West collectors it remains one of the most significant Wild Bill Hickok items ever offered on the open market.